A Pius Geek: But what is he when he's at Home? Other Novel Ideas. A Pius Man is only one of my thrillers. My thriller universe is interconnected, and borderline incestuous, if you read them in the order they were written. Eventually, every character in my thriller novels comes to know everyone else … if they're still alive. And all of them ended up in A Pius Man. Summer Death Camp, book one of the Death of an Alois Boy series. I had a high school that I really, really didn't like. I started writing a murder mystery series that, in the outline, started off as acting out little grudges. In the mysteries, the class pornographer wannabe ended up face down in a bucket of KY jelly. A bully who made constant KKK jokes ended up lynched with a noose made of piano wire. The “hero” was only the protagonist because he was always in the wrong place at the wrong time, and he had the inside track because he was hip-deep in the high school stupidity. Sort of like Murder, She Wrote with teenage serial killers. The character's name was Matthew Kovach. He started off being modeled on me, and he bored the crap out of me. Though, in my outline, by book four, he stopped looking like me, and became far more interesting. He shows up in A Pius Legacy. It Was Only on Stun was a novel of Sean A.P. Ryan, mercenary. He was doing security at a science fiction convention out in Long Island. It was called C-Con … no relation to I-Con, also out on Long Island, where I had volunteered once or twice. An actress from the Balkans is about to be a major star in an American TV series that threatens to make her popular world wide--and since she had been driven out by all sides in the Balkan conflict, all sides want her dead. This book had everything, including two incompetent “IRA hitmen” being hunted down by Interpol Agent Maureen McGrail, and there was also Middle Earth's Most Wanted Elven Assassin … don't ask. Matthew Kovach appeared as an author, hawking his books “Tales from a Catholic High school” that looked like “Jean Shepard meets Jack the Ripper.” It was one part comedy, one part mystery, and it ended in a massive shootout, playing hide and seek in the backwoods of Long Island, and a sword fight. Maureen McGrail and Sean A.P. Ryan both show up in A Pius Man. I also have a hostage novel set in a Barnes and Noble, only one of the hostages is related to a mafia don, and his "fixer" shows up. A man named Jonathan Koenig. Jon Koenig shows up in A Pius Stand (book three of the Pius Trilogy). Too Secret Service, Et Al. Too Secret Service is about a Secret Service Agent who was trained to eliminate any and all threats tot he life of the President. During an international "incident," he is framed for attempted murder, and needs to not only get his head attached to his shoulders, but has to stop the President from being nuked. However, CIA Assassin Catherine Miller is also investigating the same threat, and he is in her cross hairs. Dances With Werewolves. Another Secret Service tale. Catherine Miller has been sent to assassinate a Haitian President using voodoo to scare the natives -- human sacrifices of the tourists will scare practically anyone. The Prime Minister, and high priest, is a little slicker, and she needs to hunt him down in New Orleans. Meanwhile, my Secret Service Agent is investigating a laughable threat to the President--a prediction made by a Wiccan coven in San Francisco. He stops laughing when the one who made the prediction is found vivisected. And Matthew Kovach also wandered into this story too. He's up in Boston trying to create a fiction universe; he wants to do to Massachusetts what Stephen Kind did to Maine. And it looks like he found an interesting subject: Joshua Melasure's Community of the Old Time Religion. Enter the Kraft Brothers. Each own a magic shop in a different part of the country. "Merle" of San Francisco works for the Federal government as an expert on weird; he also doesn't need lock picking tools. "Tal" is a stage magician in New Orleans. And it looks like the third one, "Dalf," is dealing in magic of a slightly darker nature. Imagine Live and Let Die, updated with Goths, vampires, and Wiccans. Night of the Assassins-- Everyone's past comes back to haunt them. Literally. A guest star is one Scott "Mossad" Murphy. Giovanni Figlia was a bit player in Too Secret Service novels, and he shows up in A Pius Man. And, later, I go completely off the tracks. Literally. I have three series in the works that have nothing to do with any of the above. In one, I've got five books already written, and the other series has one book that I'm expanding into (probably) three. Tales of White Ops: If I were designing the future, it would look … a lot like science fiction of the past, only better-looking. Take a group like a interstellar Templar Knights, pit them against two Sauron-like enemies, and then create a special forces unit within these alien Templars. Take one part space opera, one part Babylon 5 as written by David Weber, and one part Mission: Impossible as written by John Ringo, and you get the idea. Add a great military genius who looks like the wrong end of a horse, a psychotic President who stole an election, a telepathic special forces unit made up of complete sociopaths, and a crackpot who likes to play with nuclear bombs, and you get the idea. I also blow up an amusement park currently named Disney Planet, have an alien mafia with its own special forces killers, and it spirals out from there. In this series My hero's name was "Sean Patrick Ryan" -- now you know why every mention of the 21st century Ryan makes a point of calling him Sean A.P. Ryan. Five books have been written in this series, and I'm on number six. A little something I co-authored with a friend of mine (or I was Shanghaied, I'm fuzzy on the details), it had been proposed to me as a dystopia in a little corner of the world that had been nuked to within an inch of its life (San Francisco). Then I asked about the rest of the world. And I asked how the rest of the politics, and the economy, and the dynamics of the society worked … and somewhere along the line, I started writing parts of it. Book one is written, book two is half finished, and it's outlined to book seven. The Last Survivors, 2093. 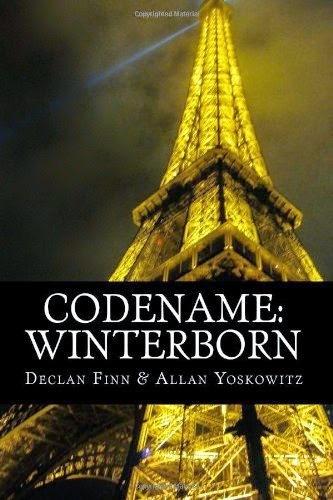 [UPDATE: known as Codename: Winterborn, and is published. ]Three years after the minor nuclear war known as the April Fool's War, Kevin Anderson is going to take out the nuclear arsenal of the Islamic Republic of France. His mission is blown by politicians on the Senate Foriegn Intelligence Oversight Committee. It's time to enforce term limits. But how do you burn a spy like that, and where do you send him? Hint: not Miami. The Last Survivors: Professional Ethics. San Francisco's most famous misanthrope is a professional assassin, the last of his guild. When a serial killer starts using San Francisco as his playground, using methods out of the assassin's playbook, it's time to go hunting. I don't know what prompted this particular work. It's probably because I had seen one too many vampire novels and movies so mess around with the original concept that I wanted to get back to basics. Joss Whedon at least had vampires react to crosses, and used holy water as a weapon, and then he stuck them in the smallest town he could find in California. I wanted to examine vampires from a more real-world perspective. I'm a history major: What would vampires be doing for the last century? And, because I'm a philosophy nerd, I also wanted to answer the question of why religious artifacts would work on vampires; are they automatically evil, and if so, when did free will get chucked out the window? In my vampire universe, vampires use communion wafers as suicide pills. And you can do creative things with rosaries, and full-immersion baptismal pools. I'm come up with numerous titles to this project, and absolutely none of them work—and half of them have been used already. 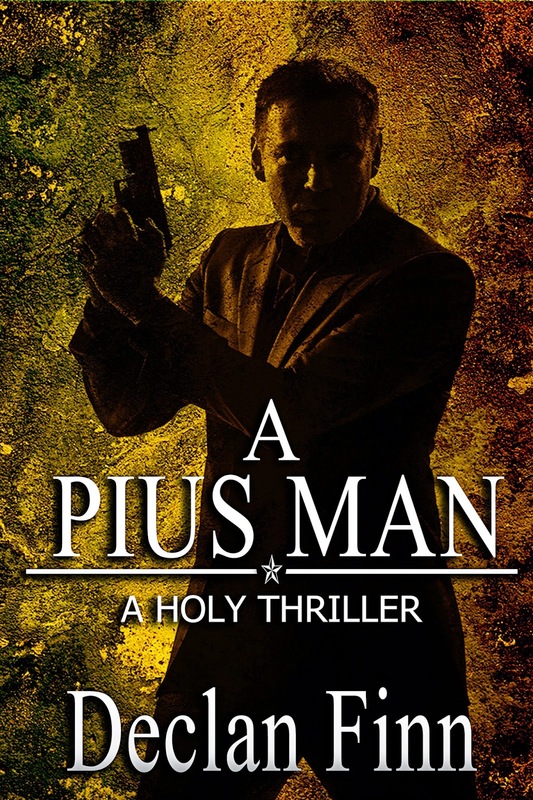 A Pius Man: A Holy Thriller. Professor David Gerrity, PhD, has been murdered while on sabbatical looking through the Vatican Archives. His assassin is blown up shortly after the murder, and the killer's corpse lands on the car of Giovanni Figlia, head of Vatican security. Figlia has enough problems-- Secret Service Agent Wilhelmina Goldberg has come to audit Vatican security, and a Egyptian cop Hashim Abasi has come to coordinate the Pope's visit to Egypt. At the same time, an al-Qaeda strategist has been murdered ... and no one is claiming credit. Scott "Mossad" Murphy comes to Rome to investigate, and finds a beautiful German spy there to help him, Manana Shushurin. And lurking in the background is a priest with commando skills, a Pope who will stop at nothing to achieve his goals, and a highly destructive Sean A.P. Ryan is working at the Vatican. It has philosophy, theology, history, war, international politics, geopolitics, advanced weaponry, a mystery, betrayals, plots, three conspiracies, several counter-plots, mass murder, and enough high explosives to level a few dozen buildings.